Davison’s successor was Henry Alexander Hunt, Jr., a graduate of Atlanta University who was an expert carpenter as well as a teacher whose contributions to Georgia include work building the state capitol building. He taught at Biddle University (now Johnson C. Smith University) before coming to Fort Valley High and Industrial School in 1904 to mold it in the model of Hampton Institute and Tuskegee University. 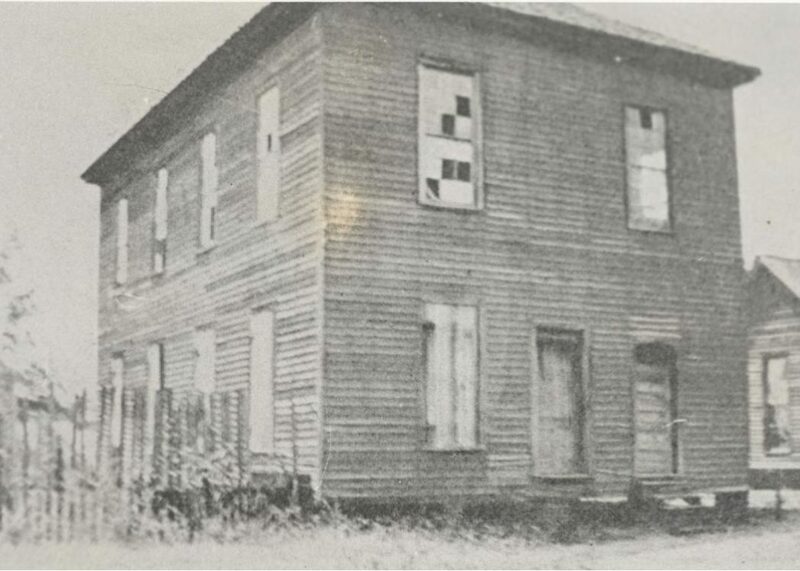 First home of Fort Valley High and Industrial School— Odd Fellows’ Hall, Fort Valley, GA.
From the beginning, Fort Valley High and Industrial School was not only committed to the well-being of its students, but that of the surrounding area as well, where agriculture was then the root of the local economy. This commitment was personified by Otis Samuel O’Neal, who made a mission of improving nutrition for families in rural Georgia, many of whom were the poor descendants of slaves. O’Neal created the Ham and Egg Show, began in 1916 as a way to encourage local farmers to produce more food by showcasing examples of high quality meat. The show became a national sensation, first growing to a week of agriculture education sessions for farmers from all over the country, and later mushrooming into a full-blown folk and blues festival, profiled in Readers Digest and Life magazines and CBS radio, among other national media. Like O’Neal, Hunt’s wife Florence was greatly concerned with the health of the people in the areas surrounding the school. 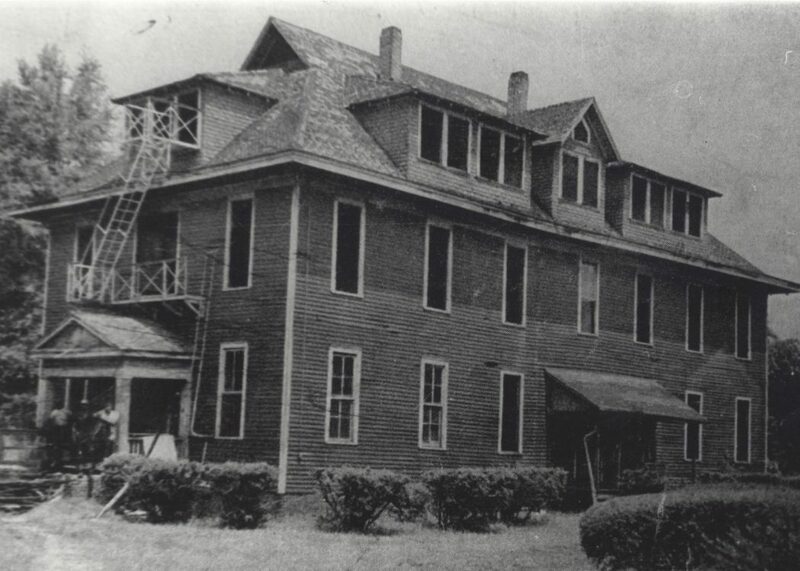 Because the area did not have a hospital, Mrs. Hunt raised the funds to construct an infirmary which served as the central treatment location for both black and white local residents. In 1918, the institution received perhaps life-saving financial support after it agreed to the control of the Episcopal Church, which raised much of the funding for the academic building now known as Founders Hall. Under Henry Hunt’s leadership, much of the physical footprint of the campus took form and the curriculum was radically transformed. Hunt took a deep interest in the plight of local farmers, and instituted numerous outreach efforts to help farmers increase their skills and knowledge. Hunt used the growth of the school, which earned junior college status in 1928, to promote social and economic progress for African Americans, and became a nationally-recognized champion of their advancement and progress. He was awarded the NAACP’s highest honor, the Spingarn Medal, and was appointed by U.S. President Franklin D. Roosevelt as assistant to the governor of the powerful Farm Credit Administration and as an adviser on the “special problems of Negroes.” Hunt was FVSU’s longest serving leader. He and Mrs. Hunt are entombed on the campus in tribute to their invaluable contributions to the school. Fort Valley High and Industrial School changed its name to Fort Valley Normal and Industrial School in 1932. A “normal school” was then a commonly used term to identify schools which trained teachers. 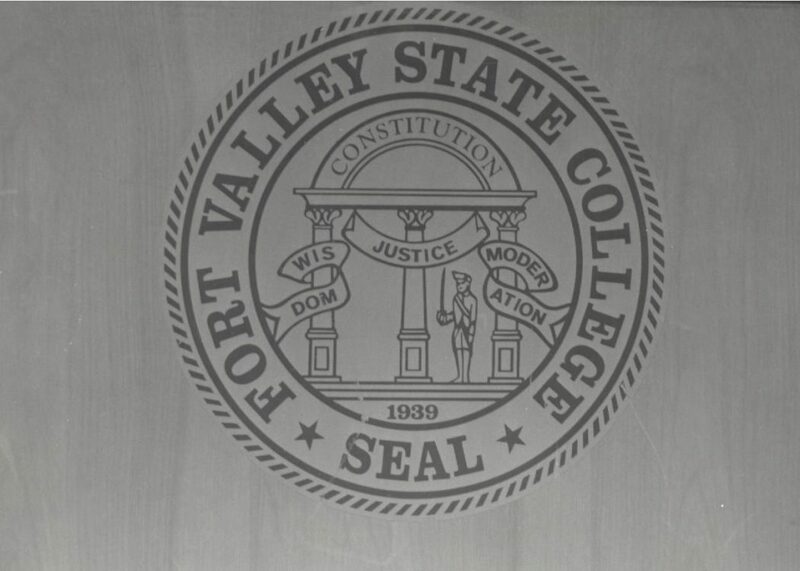 In 1939, the state of Georgia acquired Fort Valley Normal and Industrial School and designated it a four-year senior college named Fort Valley State College. The action came as the state ended its support for Forsyth County, GA’s State Teachers and Agricultural College, founded by William Merida Hubbard. That school, also in middle Georgia, had been designated as Georgia’s “school for agriculture and mechanic arts for the training of Negroes,” by the state legislature in 1922. 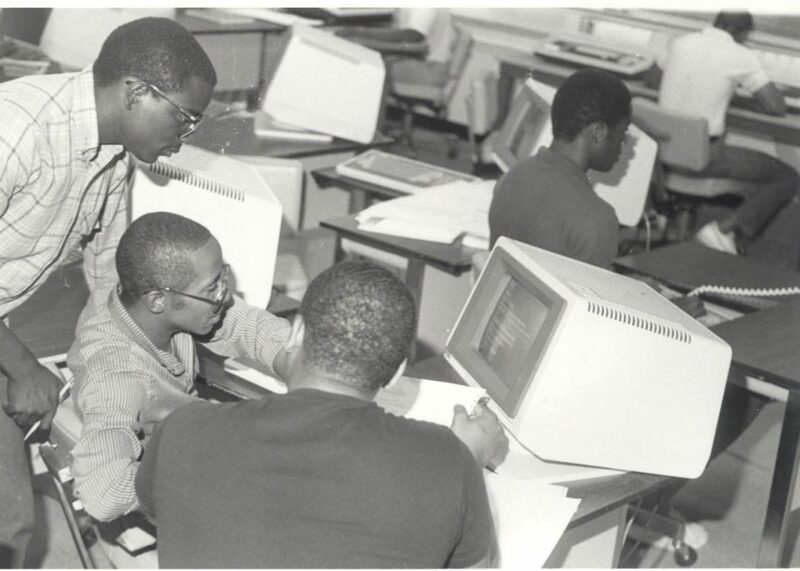 After the creation of Fort Valley State College (FVSC), the state’s higher education efforts for African Americans in middle Georgia were concentrated there. In 1939, Dr. Horace Mann Bond was chosen to lead the newly restructured institution, and its first administrative leader to hold the title of president, not principal, in concert with the school’s new designation as a four-year college. Dr. Bond earned his bachelor’s degree from Lincoln University, and master’s and doctoral degrees from the University of Chicago. 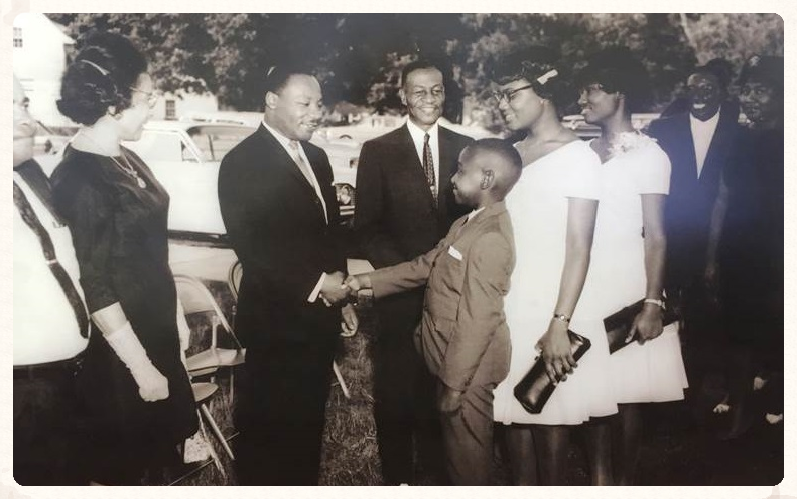 He came to FVSC after serving as chair of Fisk University’s Department of Education. Bond was a national leader in the fight for adequate financing for African American education, arguing in national publications like Harpers and The Nation that the lack of educational opportunities for African Americans fueled racism that resulting in crimes like lynching. Bond brought a greater degree of focus to the college. 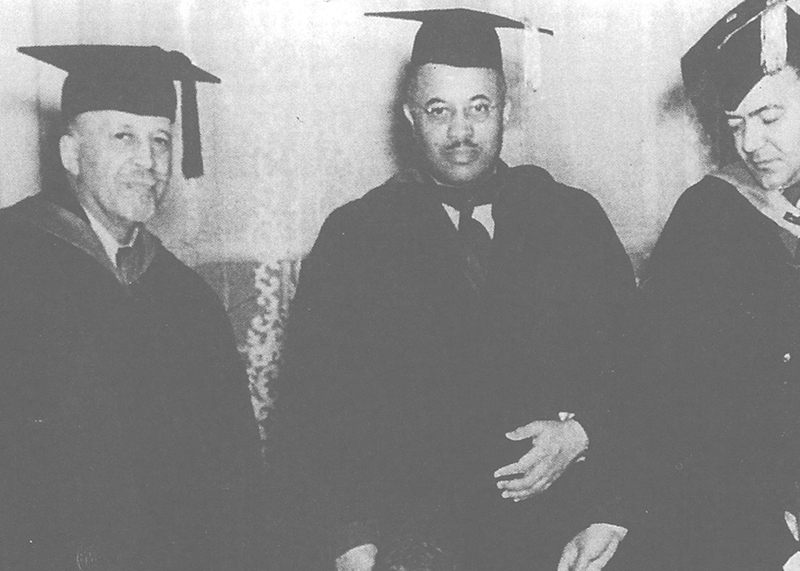 In 1941, Harriet Barfield (Black) became the first person to earn a degree from the new college. Dr. W.E.B. DuBois speaks at the first Founders Day Convocation in 1940. Pictured here (left) with Dr. Bond (center) and Rufus Clemmons. The U.S. Office of Education noted in 1942 that FVSC was one of few black colleges with a “clear statement of purposes.” After leaving FVSC, Bond went on to become the first black president of Lincoln University, the first degree-granting historically black college. Bond’s scholarship attracted visits to FVSC from other notable thought leaders of that time, including W.E.B. Du Bois and Paul Robeson. That Bond was a respected voice in the social justice dialogue should come as no surprise; his son, civil rights icon, Julian Bond followed in his footsteps. Julian Bond spent his early childhood living with his parents on FVSC’s campus before becoming a founder of the Student Nonviolent Coordinating Committee, a Georgia state legislator, president of the Southern Poverty Law Center, and chairman of the NAACP. Dr. Bond was succeeded in 1945 by Dr. Cornelius V. Troup, who served as president for 21 years. The noted author and poet was also a powerful leader. Before becoming president, Troup held a number of positions at FVSC, including associate professor of education, registrar, and director of the summer school. The noted academician, author, and poet earned a bachelor’s degree from Morris Brown College, a master’s degree from Atlanta University, a Ph.D. from The Ohio State University, and L.L.D. degrees from Wilberforce University and Morris Brown College. During Troup’s tenure, the number of buildings on campus doubled, including the first ones financed through state funds. Enrollment grew by almost four times and the first graduate programs were launched. Student Catherine Hardy won a gold medal as a member of the 400-meter women’s relay team at the 1952 Olympics in Helsinki, Finland. Dr. Waldo William Emerson Blanchet is credited with steering the college through the turbulent civil rights era. He became president on July 1, 1966 after serving as FVSC’s administrative dean, academic dean, and head of the science department. The New Orleans native obtained a bachelor’s degree in science from Talladega College and a master’s degree and doctorate from the University of Michigan. Blanchett encouraged political and economic engagement on the part of the students and faculty, and historic gains in local elections were made by African Americans elected in large part through student votes. By 1972, Georgia’s segregation practices were under full-scale assault, and, in an ironic historical twist, 29 white parents filed a lawsuit to help integrate FVSC. The lawsuit was one of many which affected the end of single-race educational environments in the state. After Blanchett’s retirement, Dr. Cleveland Pettigrew was installed as president in 1973 and worked to develop programming that would attract a more diverse student body. Under his leadership, the infirmary, library, and research buildings were completed. Dr. Luther Burse became president in 1983, the same year the college launched its nationally renowned Cooperative Developmental Energy Program (CDEP). The program works to increase the numbers of minorities and women working in the energy industry, both in the private and governmental sectors. The program works through alliances between energy companies, government agencies, FVSC, and other colleges to provide extensive academic programming, internships, and career opportunities for the stand-out students enrolled in the program. In 1990, Dr. Oscar Lewis Prater assumed the president after serving as vice president of Hampton University and set forth a vision for FVSC to become a national educational leader. At the graduate level, the school was granted authorization to offer specialist-level degrees in addition to master’s degrees. 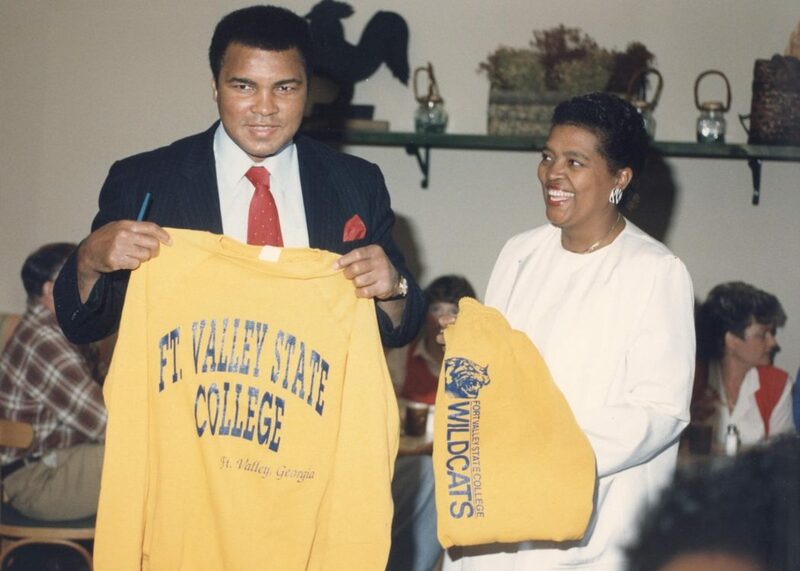 On June 12, 1996, the institution obtained university status and became Fort Valley State University. Alumnus Dr. Larry E. Rivers became president on March 14, 2006 after serving as dean of the College of Arts and Sciences at Florida Agricultural and Mechanical University. During his tenure, enrollment and construction increased dramatically. The value of capital projects on the campus increased by more than 600% during the six years of Rivers presidency when compared with the previous 30 years combined. The $44 million Wildcat Commons student apartments and residential complex opened in 2007, and a new Wildcat Stadium opened soon after. Student enrollment grew to 4,000 students before Rivers stepped down in 2013. Dr. Ivelaw Lloyd Griffith took office as president on July 22, 2013 and served until 2014. Griffith previously served as provost and senior vice president at York College of the City University of New York. His scholarly leadership included a national reputation as an expert on Caribbean security, drugs, and crime. Today, Fort Valley State University continues to help talented students access opportunity through education under the leadership of Dr. Paul Jones, who became president on December 16, 2015 after holding numerous senior leadership roles within the University System of Georgia, including serving as interim president of both Darton State College and Georgia College & State University. FVSU continues to garner a national reputation for educational excellence, producing more bachelor’s degree graduates in math-related majors than any other school in the country during 2 of the past 3 years. In Georgia, FVSU is the number one producer of African Americans with bachelor’s degrees in agriculture, agriculture operations, and related sciences and a top 5 producer of African-Americans with degrees in engineering technologies and engineering related fields, family and consumer/human sciences, and computer and information sciences and support services. The school also ranks in the top 10 of schools in Georgia in producing African Americans with bachelor’s degrees in psychology and physical sciences. One hundred percent of education major graduates pass the state certification exam, and 90% find teaching positions, are enrolled in graduate school, or become gainfully employed in careers related to education within one month of graduating. The school’s online bachelor’s degree programs have been ranked in the top ten nationwide by various publications and ranking organizations. This abridged history was adapted from Light in the Valley: A General History of Fort Valley State University Since 1895 by Dr. Donnie D. Bellamy, among other sources.